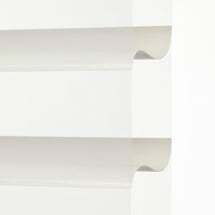 Our Room Darkening Horizontal Sheer Shades come with a larger 3 inch light blocking vane. 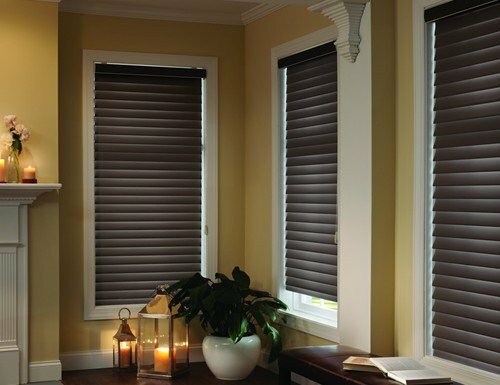 Operate the blackout roman shades to either block the light, filter the light through the sheer vanes or raise the shades for an unobstructed view. 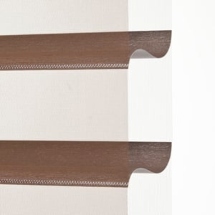 New Atmosphere colors come with a matching sheer fabric to match the color of the vanes. Larger 3" vane provides 30% more view through than standard 2" vanes. Darkens your room up 80%. 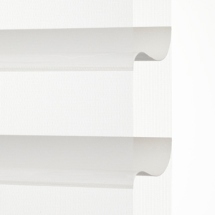 Order these sheer horizontal blinds from Blinds Chalet today!